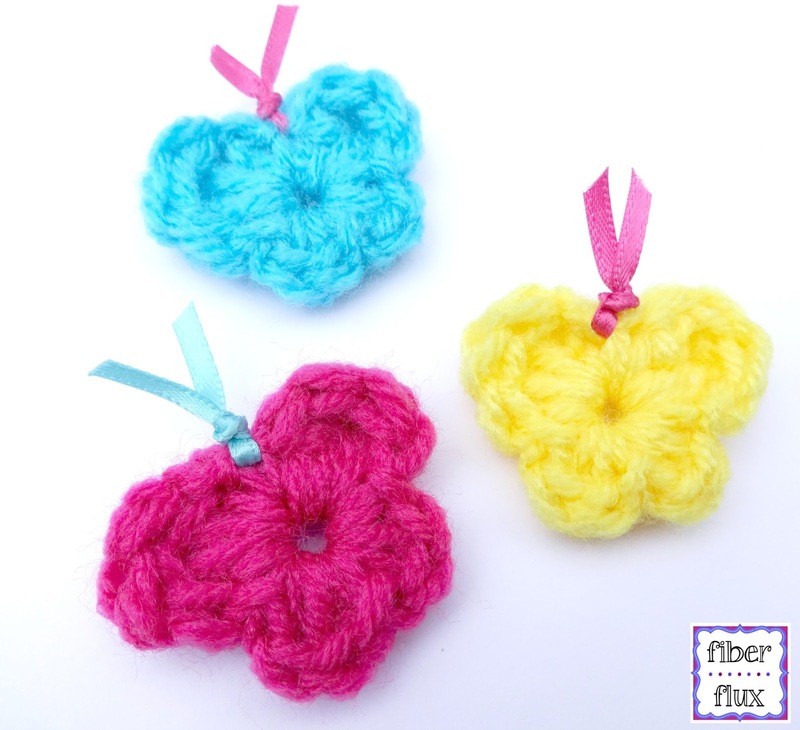 Fiber Flux: Free Crochet Pattern...One Round Butterflies! 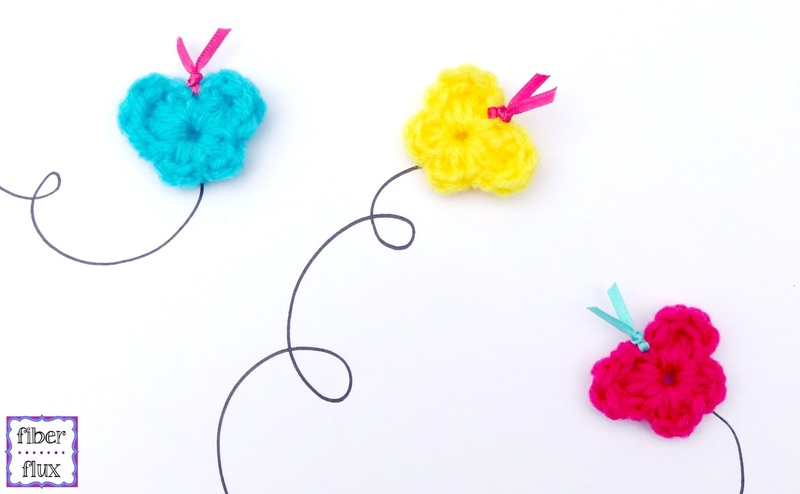 Free Crochet Pattern...One Round Butterflies! The sweet little butterflies are so much fun! Use them as an applique, hang them in flight, or scatter them on a spring or summer table. You can make one in just a few minutes and a pretty bit of satin ribbon finishes each one beautifully. Ch 4. In the ch furthest from the hook, work a sl st to create a ring. Round 1: In the center of the ring work, dc, 2 tr, dc, sl st, 3 hdc, sl st, 3 hdc, sl st, dc, 2 tr, dc. Join with a sl st to close round and fasten off. Weave in any ends that remain. In the top center stitch, tie a small piece of ribbon for the butterfly antenna. Tie in a knot and trim ends so that they are even. These are so sweet - thank you! Thank you so much for sharing this pattern! 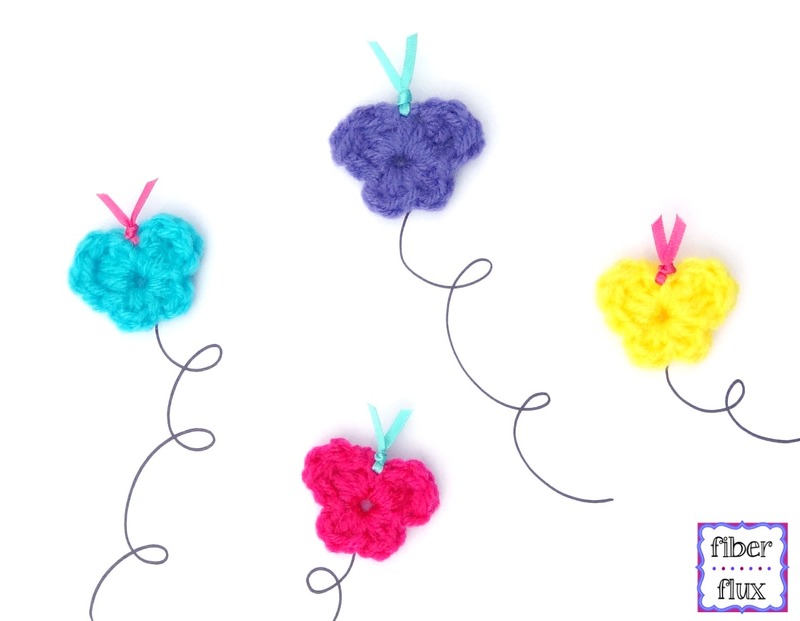 I'm new to crochet, and looking for different projects all the time, especially things that can be used for embellishment. Love the butterflies!